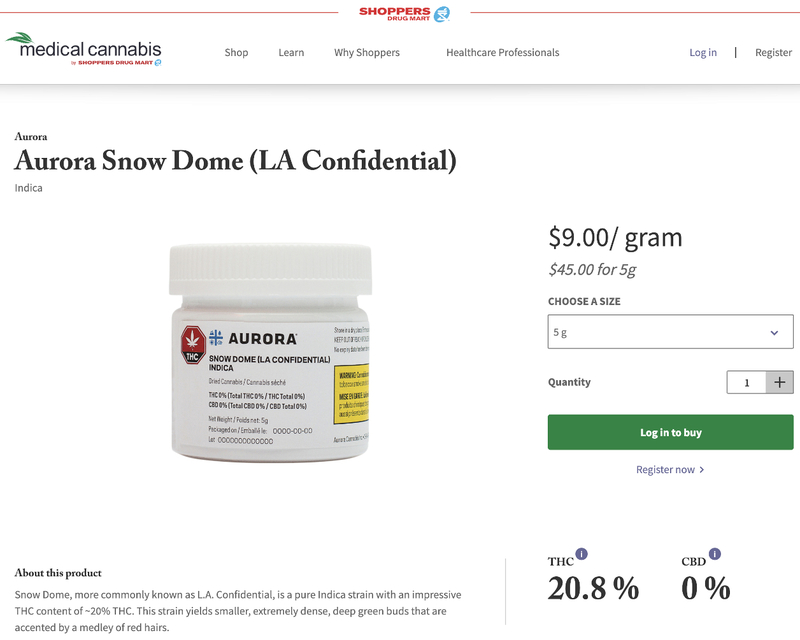 BRAMPTON, ON, Jan. 8, 2019 /CNW/ – Today, Shoppers Drug Mart launched its online platform for the sale of medical cannabis, providing patients with a single, trusted source for all their cannabis therapy needs. The launch brings together Canada’s current ecommerce model for medical cannabis, with the expert advice and counsel from trusted healthcare professionals. 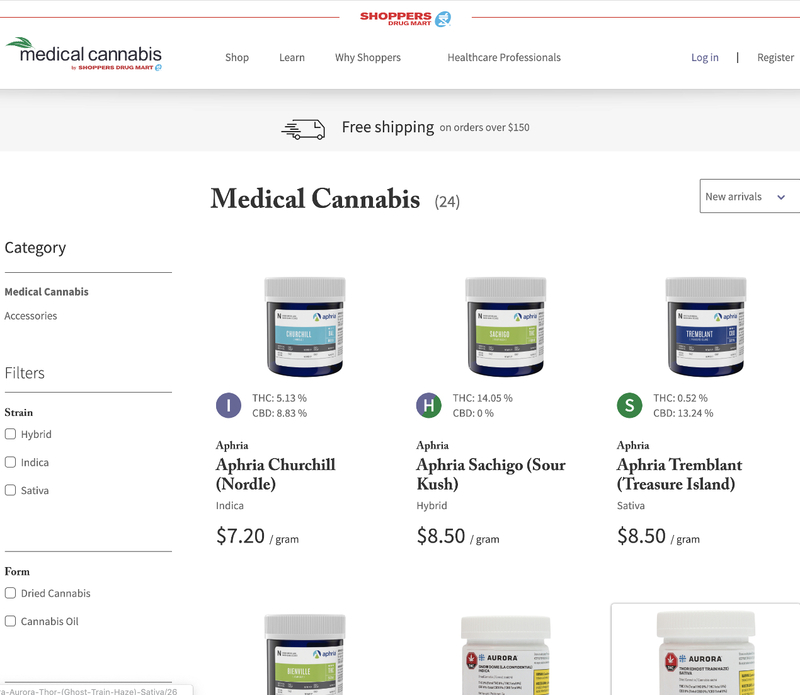 At www.shoppersdrugmart.ca/cannabis patients have access to a number of products from Canadian licensed producers, shipped directly and discreetly to their doorstep. Additionally, Shoppers Drug Mart will provide support for patients through its newly created Shoppers Cannabis Care Centre – a virtual team of professionals who can provide counselling and support for patients. Under current regulations, pharmacists cannot dispense medical cannabis from a pharmacy. During the initial launch, patients in Ontario can bring their medical document (which is similar to a prescription) to a local Shoppers Drug Mart pharmacy to process the information. Then, specialized advisors from the Shoppers Cannabis Care Centre will contact patients, review their medical history and any contraindications based on current medications, and provide support with online registration and strain selection. “For people living with chronic health conditions, like arthritis, the advice of a health professional and access to trusted guidance, is invaluable when considering the use of cannabis for medicinal purposes” says Janet Yale, President and CEO of the Arthritis Society. Education for pharmacists is supported by Shoppers Drug Mart Medical Advisory Board, a panel of independent medical experts from across the country who provide guidance and advice on new clinical evidence, and have developed clinical algorithms to help our Cannabis Care advisors select the correct strain based on the prescriber’s recommendation. 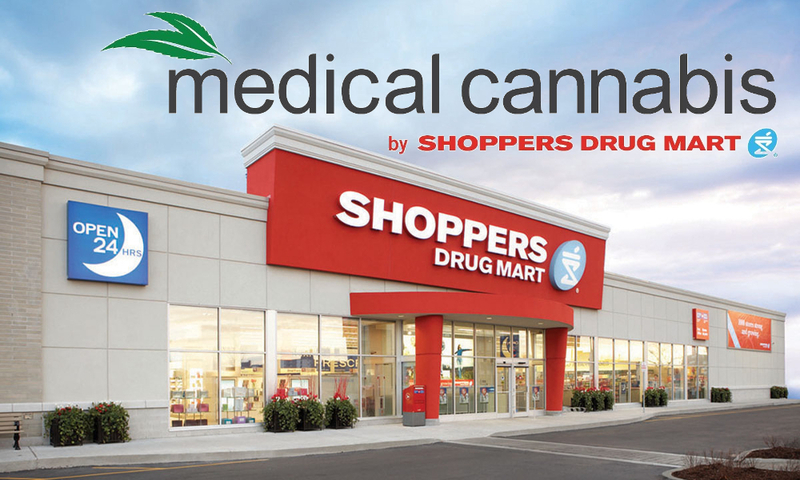 Shoppers Drug Mart has signed supply and quality agreements with ten licensed producers and will provide products and medical accessories. Shoppers Drug Mart is one of the most recognized and trusted names in Canadian retailing. The Company is the licensor of full-service retail drug stores operating under the name Shoppers Drug Mart (Pharmaprix in Québec). With almost 1,300 Shoppers Drug Mart and Pharmaprix stores operating in prime locations in each province and two territories, the Company is one of the most convenient retailers in Canada. The Company also licenses or owns 47 medical clinic pharmacies operating under the name Shoppers Simply Pharmacy (Pharmaprix Simplement Santé in Québec), three luxury beauty destinations operating as Murale, and provides cosmetic dermatology services at one standalone location, the Beauty Clinic by Shoppers Drug Mart. As well, the Company owns and operates 36 corporate Shoppers Home Healthcare stores, seven Wellwise by Shoppers Drug Mart stores and an ecommerce site Wellwise.ca, making it the largest Canadian retailer of home health care products and services. In addition to its retail store network, the Company owns Shoppers Drug Mart Specialty Health Network Inc., a provider of specialty drug distribution, pharmacy and comprehensive patient support services, and MediSystem Inc., a provider of pharmaceutical products and services to long-term care facilities. Shoppers Drug Mart is an independent operating division of Loblaw Companies Limited.